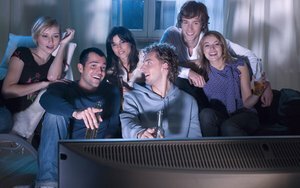 TV Everywhere viewing -- on all digital platforms -- has doubled its growth versus a year ago and is nearly 60% higher in the first quarter of 2016, according to new research. Much of this growth has occurred with connected TV, browser-based viewing and Android-based devices. Connected TV is now at a 23% share, up from a 20% share; browser viewing is up 23% from 19%; and Android is at 18% share from 15%. Apple’ iOS shares continue to drop -- now at a 36% share, down from a 46% share. Adobe’s Digital Index Digital Video Benchmark report also says 71% of TV Everywhere viewers watch from one location, with 72% of mobile TV Everywhere viewers watch from one location. The study says this means minimal on-the-go behavior, and that TV Everywhere viewers are using multiple digital devices as a single location -- 43% with smartphones, 38% via desktop and 19% from connected TV/gaming consoles. Adobe’s research comes from a sample of 12 billion TV Everywhere authentications and 300-plus Web sites/apps, which are access points to TV Everywhere from January 2015 through March 2016.